5 powerful ways to grow your blog offline: for those of us looking to expand our local audience, meet and work with amazing people, and take a break from the online world--this one is for you! First of all, I must include a teensy disclaimer: I used to be really shy and reserved about this blog (yes yes Hoda can get shy too, I know, it's scary) and therefore in-person blog promotions were incredibly limited/absent for the first year and a half of my blog's life (so basically up until a month or two ago). Self-promotion has never been my forte (or just choice of interaction). But, overtime, as my blog has grown both virtually and as a part of my life, I am starting to learn the real value of (moderate) self-promotion! 1. Always Carry Business Cards on Your Person | you'll never know who you will run into! A great way to hold on to the relationships formed at those random, daily, very human interactions with people you meet on the bus, in line for the bus, and/or while you're complaining that the bus never comes on time. Psst need help designing a business card that absolutely wows? I recently interviewed a professional designer that guides us through the design process! 2. Leave Your Business Cards Anywhere & Everywhere | most local coffee shops, relevant businesses, art centers, etc, have space that is already designated for, or will allow, business cards for their customers to pick up! Just be sure to ask permission before you add a little stack of your own beauties. 3. Attend Local Events in Your Niche | this is a great way to meet and engage with other influencers in the area as well as your target audience! Join local blogger networks and stay on top of event listings, check the events section of your local newspaper/magazine/sites weekly and try to attend at least one a month! (p.s. don't forget those business cards)! 5. Collaborate with Local Talent | I think this has to be one of my favorites from the list. Reach out to local photographers, brands, stylists, bloggers, models, etc and collaborate on a shoot, event, etc. It's a great way to meet new (incredibly talented) people, make new (super rad) friends, and grow your blog (especially if when everyone cross-promotes the project)! Have you tried offline promotion? Did I miss anything that you have found particularly successful? 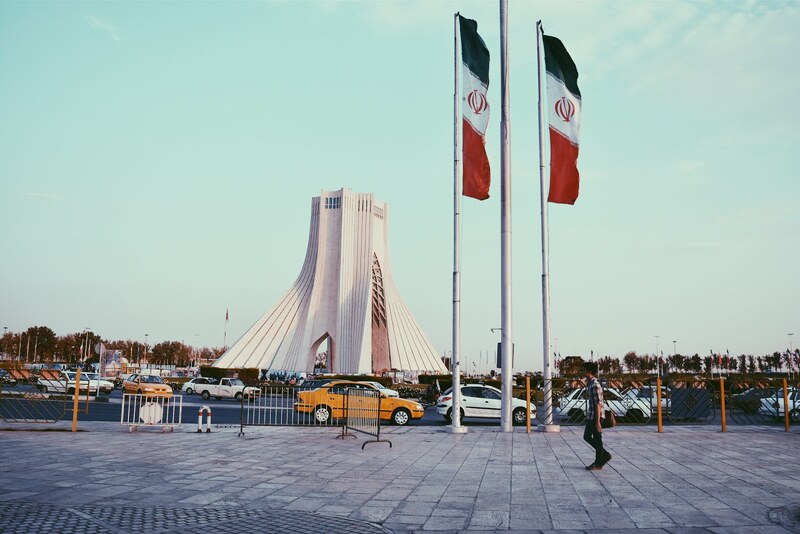 Drop us (the blog & I) a line in the comments! This just started happening to me on accident, but I think sharing my posts on facebook to people I know locally really helped. These tips are great Hoda! I carry handmade cards about my blog every social event I go to, helps a lot! Great post Hoda! Thank you for sharing. I'm still trying to get over being shy about my blog but I've been thinking about getting some business cards soon so I'm glad that you've seen benefit to them! Hey - do you have any local blogger networks or meetup groups in Chicago (or Evanston) that you are part of or could recommend? I'd like to start connecting with folks as I prepare to move there at the end of the summer! Thanks lady! 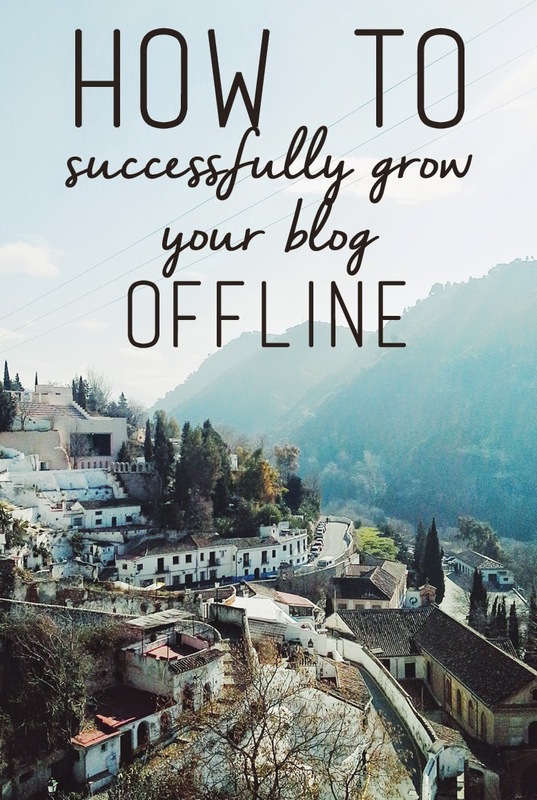 This is great advice, you don't usually hear about growing your blog offline which is important too. Thanks for sharing! This was fantastic. I throughly enjoyed reading it and you are spot on on every point. I had to pin it for later. I found you through Pinterest, but I'm glad I did! (Gosh, that sounds like the start of a spam comment, doesn't it?) Anyway, I am really shy about telling people about my blog, even though blogging is important to me. I even get irritated when my husband brings it up or looks at it! I really need to get more brave about it. Thanks for the tips! And oh yes, I think online promotion is far easier than offline promotion, because you don't have to physically approach people and sell yourself! But I think it's a great skill to develop not only for your blog but also career/life! That's a great way to increase your exposure, but that's still all online! You could potentially follow-up with your friends and family in person and ask them about their opinions/to tell their friends! Just as important as online growth! Hey, Natasha! Happy that you found the blog (and that your comment passed through my spam filter hahaha) I totally feel you--I used to be the same way! But lately, I've started breaking out of my shell and I've found it really nice! I think it's actually easier to start with people you don't know--random people you might run into, etc. At least for me, I was more hesitant to tell people I know, even though some turned out to be my biggest supporters, and I'm glad I did! Although it was definitely helpful for me to start with strangers, surprisingly! Yeah. What I meant is that they know what I do so they refer me/recommend me for in person events. For instance, this week I'm presenting at a book premiere party in town. You're welcome. I will try to think of one and let you know. This is a really great tips, I hate pass all the time online but I realize that the internet could open doors for my art, so your post is very useful for me. I just met your blog and you look like a very interesting person!